Content Marketing: Have You Considered Writing an eBook? Content Marketing: Have You Considered Writing an eBook? You Are Here:Home / Copywriting / Content Marketing: Have You Considered Writing an eBook? Google’s slew of updates has really underlined the importance of good quality content, not only on websites but also as part of a marketing strategy. Content marketing is best used to establish your authority in your industry, to connect with consumers and to drive traffic to your website and, in some cases, get feet in your door. When people hear the word content, they almost invariably think of the written word. And they’re not wrong. But content isn’t limited to writing; it includes pretty much anything that adds value to people’s lives. So it can be an instructional video, a podcast, a research study, an article, a newsletter, a blog post or a slideshow. If you really want to go all out, you can even create an eBook, a technique which is highly recommended by Chris Horton (Social Media Today). Horton says that eBooks make great lead generators because they pique interest. They prove you can meet a need, they prove your credibility and you can encourage people to subscribe for more compelling content. Once they’ve opted in you have your leads. 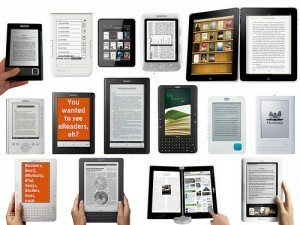 EBooks let you expand on topics that require an in-depth approach. Blog posts, articles and videos are, as a rule, quite short. They have to be to maintain interest. People don’t expect a tome when they come across one of your blogs. But eBooks are, by definition, longer. People expect tens of pages of information. If you don’t give them tens of pages they feel cheated. Horton maintains that it’s this length that enables you to make your eBook the cornerstone of your marketing strategy. EBooks are broken down into chapters or sections and subsections that deal with different topics. You can take each topic and stretch it out to include follow up blog posts, infographics and podcasts. As with all marketing strategies, you need to start with your target audience. What do they need? What do they want? Your research will help you choose your topic. It will also help you pick a tone. For example, will they appreciate a formal tone or would you do better to include an element of wit and humour. Once you have a topic, drill it down. Don’t write about analytics; that’s way too broad. Rather write about how to use analytics to refine keyword research. Don’t write it like an advertorial or a marketing brochure. Yes, you want people to subscribe to your newsletter and visit your site. Yes, you want them buy your products or avail themselves of your services. But you don’t want it to be all you you you, instead you want it to be all them them them. You’re writing for your audience and not for you. You’re writing to add value to their lives, not to cover yourself in glory. Research it well, but don’t drown your audience in facts, figures, statistics and jargon. It must be reader-friendly. This also applies to structure and flow. It must make sense, so you can’t hop around randomly from section to section. This is why you need to plan your eBook properly. Don’t forget to use images. Page after page of text can be a lot to ingest. Break it up and maintain interest with images and graphs. Don’t sell it. At least, don’t sell your first one. Let people download it for free (or, on the condition that they supply their email address). Advertise it on your website, your blog and your social networks for at least three to four weeks before you’re ready to launch – and then launch it on time. Make it pretty. There are eBook tools and software that will help you create an attractive and engaging book that will appeal to your audience. Writing an eBook takes some time, especially if you want to do it well (and you do want to do it well). But the rewards can be well worth it. Not only can you establish yourself as an authority in your industry but you can also gain a legion of loyal followers and extend your client base. And, if all goes well, can write a series of eBooks and gain a reputation for creating valuable content. In time you could start to sell your eBooks, turning them into a small revenue stream.